Ruislip is a large town centered on an old Village in the London Borough of Hillingdon. Ruislip is located approximately 14 miles from London. 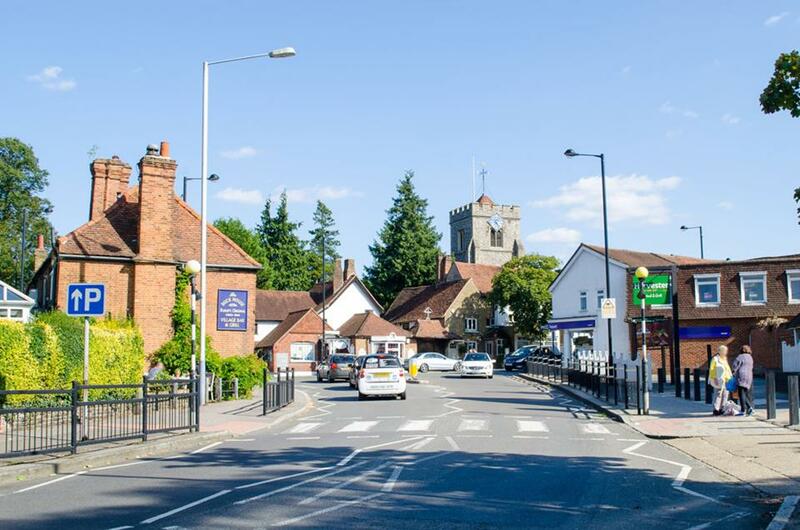 Ruislip is comprised of six different areas to include Ruislip town, North Ruislip, South Ruislip, West Ruislip, Ruislip Manor and Ruislip Gardens. Ruislip is a popular area with a vast variety of shops, restaurants, bars and cafes. There are excellent transport facilities to include several tube stations operating on the metropolitan and the central line as well as a main line train service into London. The A40 is the closest main road leading into London and out towards the M25. Landmarks include the Polish Warm memorial which commemorates the efforts of the Polish air force with the British army during the Second World War. The landmark will surely be mention to you as a point for direction and is often commented in broadcasts for traffic reports. St. Martin Church is another icon landmark in Ruislip dating back to the 13th Century. The church is mentioned in the 1086 Domesday Book but is believed to have been replaced by the present church in 1245. Stone markings from the Norman period have been found in the grounds. The church of the old village is now grade 2 listed and designated as a heritage site. Ruislip Lido is another popular attraction for the town, a reservoir and artificial beach situated beside Ruislip woods. The body of water was originally opened as a feeder reservoir for the Grand Junction Canal in 1811. It was reopened in 1933 as a lido with facilities for Swimming and sailing. There is the Ruislip railway that surrounds two thirds of the lido which was opened in 1945. The lido have fallen into disrepair in the 1970 to 1980’s was then a project of enhancement by the Hillingdon council in 2010 and this involved the return a boating and swimming in the reservoir. There is the addition of the Water’s edge restaurant and pub which is a family pub overlooking the water. They serve a lovely carvery style food seven days a week and is great value for money. Ruislip was once commented on as one of the best places to buy property in London.